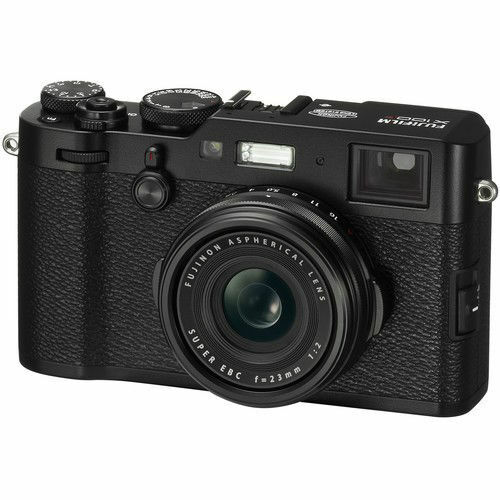 Featuring an evolution in its core feature-set, the black X100F Digital Camera from FUJIFILMincorporates a series of advanced imaging capabilities while still retaining its trademark design and intuitive handling assets. 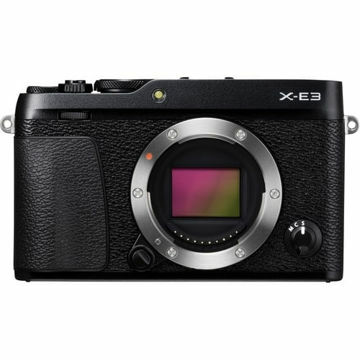 Most notably, the X100F features a 24.3MP APS-C X-Trans CMOS III sensor and X-Processor Pro image processor to realize rich, high-resolution stills and fluent performance with expandable sensitivity to ISO 51200. 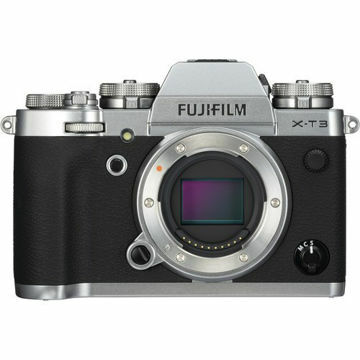 A built-in Fujinon 23mm f/2 lens provides a general wide-angle 35mm equivalent focal length, and its optical design utilizes aspherical glass to produce sharp imagery while a Super EBC coating resists flare and ghosting. Benefitting working in a variety of shooting situations, a heightened hybrid autofocus system now utilizes 91 total points, including 49 phase-detection points, for quick, accurate focusing.